I just managed to catch the weekday repeat a day or so ago of this month’s Sky at Night, in which presenters Maggie Aderin-Pocock and British astronaut Tim Peake looked at the history of Britain in space, and forward to the country’s future in the deep black. The programme’s changed a bit over the past few years in the case of its presenters. It was famously presented by Sir Patrick Moore from its beginning in the 1950s until he passed away a few years ago. This made the programme the longest-running show presented by the same person. Aderin-Pocock joined it before Moore’s departure. She’s a black woman scientist, with a background in programming missile trajectories. She’s obviously very intelligent, enthusiastic and very definitely deserves her place on the show. But I wish she’d done a job that didn’t involve the military use of rocket technology, however much this is needed as part of national defence. Aderin-Pocock was speaking to one of the management officials from Orbex, a new, British company, which has developed a rocket launcher and intends to open a spaceport in one of the more deserted areas of Scotland. The rocket will stand about 17 meters tall, using propane and High Test Peroxide as fuel. High Test Peroxide is a highly concentrated version of the hydrogen peroxide used by hairdressers to bleach peoples’ hair. The use of propane is particularly important, as it’s lighter than conventional rocket fuels, meaning that the rocket doesn’t have to carry as much fuel to lift off into space. Advances in satellite design have also allowed the rocket to be smaller than other spacecraft used elsewhere. British universities have succeeded in developing microsatellites – satellites that are much, much smaller than some of the satellites put into orbit, but which can perform the same functions. As these satellites are smaller and lighter, they only need a relatively smaller, lighter rocket to launch them. The Scottish launch complex also wasn’t going to be as big as other, larger, major launch complexes, such as those of NASA, for example. I think it would still contain a launch tower and control buildings. As well as the official from Orbex, the show also talked to a woman representing the rural community in the part of Scotland, where they were planning to build it. She admitted that there would be problems with building it in this part of the Scots countryside. However, the community was only going to lease the land, not sell it to Orbex, and care would be taken to protect the farms of the local crofters and the environment and wildlife. Like much of rural Britain, this was an area of few jobs, and the population was aging as the young people moved away in search of work. She looked forward to Orbex and its spaceport bringing work to the area, and creating apprenticeships for the local young people. The programme went on to explain that this would be the first time for decades that a British company was going to build a British rocket to launch a British satellite. From what looked the British space museum in Manchester, Time Peake stood under the display of Britain’s Black Knight rocket and the Prospero satellite. He explained how the rocket launched the satellite into space from Australia in 1975. However, the project was then cancelled, which meant that Britain is the only country so far which has developed, and then discarded rocket technology. But Black Knight wasn’t the only space rocket Britain developed. Peake then moved on to talk about Skylark, a massively successful sounding rocket. Developed for high altitude research, the rocket reached a maximum of altitude of 400 km in the few minutes it was in flight. At its apogee – its maximum distance from Earth – the vehicle briefly experienced a few minutes of zero gravity, during which experiments could be performed exploring this environment. The Skylark rocket was used for decades before it was finally cancelled. Aderin-Pocock asked the official from Orbex how long it would be before the spaceport would be up and running. The manager replied that this was always an awkward question to answer, as there was always something that meant operations and flights would start later than expected. He said, however, that they were aiming at around the end of 2020 and perhaps the beginning of 2021. Orbex are not, however, the only space company planning to open a spaceport in Britain. Virgin Galactic have their own plans to launch rockets in to space from Cornwall. Their vehicle will not, however, be launched from the ground like a conventional rocket, but will first be carried to a sufficiently high altitude by an airplane, which would then launch it. I’m not a betting man, but my guess is that of the two, Orbex is the far more likely to get off the ground, as it were, and begin launching its rocket on schedule. As I’ve blogged about previously, Branson has been telling everyone since the late 1990s at least, that Virgin Galactic are going to be flying tourists into space in just a few months from now. This fortnight’s Private Eye published a brief list of the number of times Branson had said that, with dates. It might be that Branson will at last send the first of his aspiring astronauts up in the next few months, as he claimed last week. But from his previous form, it seems far more likely that Orbex will start launches before him, as will Branson’s competitors over the pond, Elon Musk and Jeff Bezos. When asked about the company’s capability of perfecting their technology, Orbex’s manager not stressed the skill and competence of the scientists, technicians and engineers working on the project. This included not just conventional space scientists, but also people, who had personally tried and failed to build their own spacecraft. He said that it was extremely important to fail to build rockets. He’s obviously referring to the many non-professional, hobby rocketeers out there trying to build their own spacecraft. He didn’t mention them, but one example would be the people at Starchaser, who started out as a small group of enthusiasts in Yorkshire but have gone on to create their own space company, now based across the pond in America. I think it’s brilliant that amateurs and semi-professionals have developed skills that the professionals in the industry find valuable. And the failures are important, as they show what can go wrong, and give the experience and necessary information on how to avoid it. I don’t think the rocket will be wholly built in this country. The manager said that some of it was being constructed in Copenhagen. This sounds like Copenhagen Suborbitals, a Danish team of rocket scientists, who are trying to put a person into space. They’re ex-NASA, I believe, but it’s a small, private venture. They have a webpage and have posted videos on YouTube, some of which I’ve reblogged. They’ve also said they’re keen for people to join them, or start their own rocket projects. I’d been looking forward to that edition of the Sky at Night for the past week, but when the time came, it slipped my mind that it was on. I’m very glad I was able to catch it. If Orbex are successful, it will be the first time that a British satellite will launch a British satellite from here in Britain. And it sounds really optimistic. Not only will Britain be returning to space rocket development, but the Scots spaceport sounds like it will, hopefully, bring work to a depressed area. I’m also confident that the local environment there will also be preserved. The launch complex around NASA is necessarily so remote from other buildings, that it’s actually become a wildlife haven. So much so that it’s now a location for birdwatching. When it was announced that they were planning to build a new spaceport in Scotland, I assumed it would be for Skylon, the British spaceplane. There had been articles in the paper about the spacecraft, which stated that it would be launched either from Scotland or Cornwall. It seems I was wrong, and that it’s Orbex’s rocket which will be launched there instead. But nevertheless, I wish Orbex every success in their venture, and hope that sometime soon Skylon will also join them in flight out on the High Frontier. 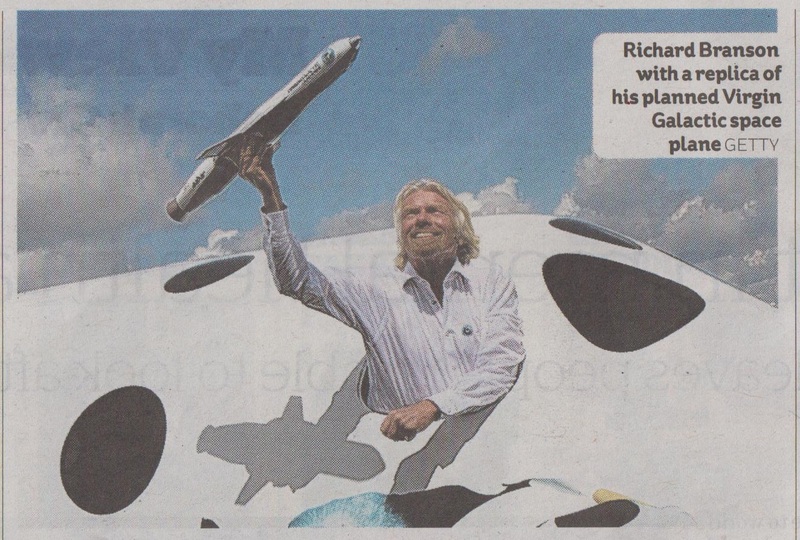 Today’s I also carried a picture of Richard Branson hanging out of the portholes of one his spaceplanes, waving a model of the craft he claims will shortly take paying passengers for a trip into space. This follows his announcement yesterday that, after over a decade of delays, one of his spacecraft will launch sometime in the next few weeks. And then, a few months after that, Branson himself would take a journey into the High Frontier. There’s supposed to be a race on between Branson, Bezos and Musk over which will be the first private company to send people into space. I’ve got my doubts that it will be Branson. He’s been telling the world that his Virgin Galactic spacecraft will be taking people up there in a year’s time since the late ’90s. For a moment, it did look as though he might actually do it, until one of the spaceships crashed due to a design fault, killing one of the co-pilots. Moreover, investors and those worried about the state of the NHS should look very carefully at what else is going on in Branson’s empire when he makes these announcements. There was a story in Private Eye a few months ago about how Branson uses them to direct attention away from other projects, which might be controversial. He was quoted as saying that he made one announcement, that his planes were ready to fly, to distract people from the fact that his private healthcare division, Virgin Health, had just one a whole slew of NHS contracts and was ready to open several clinics around the country. And several times in the past Virgin has had problems with its finances to the tune of hundreds of millions or so. Private Eye was threatened several times with a libel action from Branson, claiming it was all false. The Eye later ran a story about this, quoting Branson himself as saying that he tried to silence the satirical paper because it was true, but he didn’t want the public, investors or the banks knowing because it would stop him getting more money from the banks. Now that he’s declaring that they’re nearly all set and raring to go, we’re entitled to ask whether this is really the case, or is it just another distraction from him eating up more of our precious NHS, or the possible collapse of one of his other companies. As for the spacecraft itself, I was struck by the similarity between it and the Orion spaceplane of Kubrick’s SF masterpiece, 2001: A Space Odyssey. 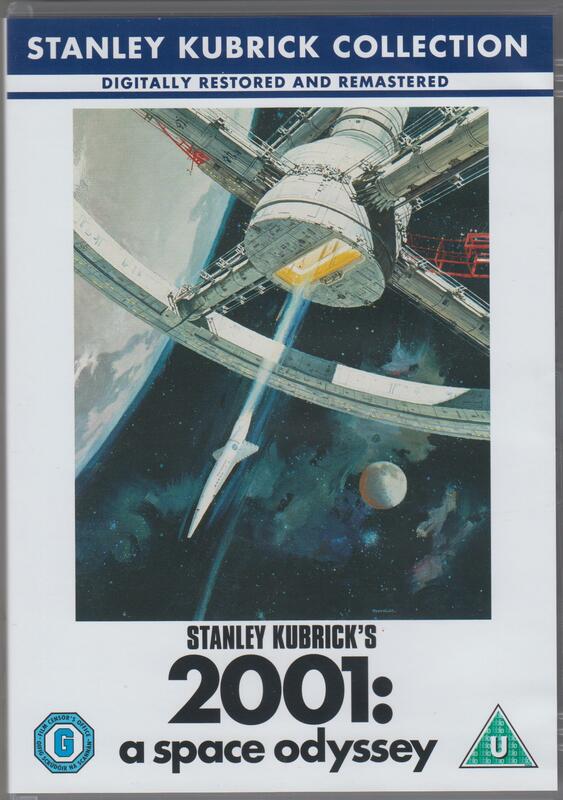 As you can see from the cover for the DVD version of Kubrick’s epic, the two look very similar. And I’m not surprised, as this shows the very thorough research Kubrick did to get the look of the space vehicles just right. Clarke’s a Hard SF writer, which means that his fictions are based in scientific fact, although often with more than a little extrapolation and fantasy. There are, after all, no real black alien monoliths in the solar system, which form stargates to alien realities. Kubrick also wanted to make the greatest SF movie ever, and so he turned from relying on artists to real space scientists and engineers to design the spacecraft. Which is why the spacecraft in 2001 – the spaceplane, orbital space station, Moon shuttle and the Discovery spacecraft itself – look utterly convincing as well as cool. The film was shot in Britain, and as well as using experts from NASA and American aerospace companies, he also used British firms, especially for the one-person space pods. I think if Branson really wanted to get into space, he would have been better off ringing Kubrick up for a few hints about spacecraft design. He’d also have been in the enviable position of being in charge of the first company whose promotional film would have won and academy award. Branson may be set to go into space, but Kubrick and Clarke got their first. And it was awesome. And here’s a video from YouTube showing a bit of the spaceplane from 2001. As a new age of interplanetary exploration dawns, it is private companies and their maverick owners who are planning to finance space tourism, asteroid mining and even colonies on Mars. Professor Brian Cox investigates the technical challenges that could stop these billionaires achieving their dreams and also finds out how they hope to overcome the daunting obstacles to human space travel. Sir Richard Branson is among the stargazers explaining how they plan to fly through the heavens. (p. 76). When the likes of Richard Branson or Amazon founder Jeff Bezos enthuse about space travel it’s easy to be skeptical. But when Brian Cox meets both billionaires for this engaging look at “the prospect of us becoming a space-faring civilization” he comes away convinced by their vision, their desire to push boundaries and to make sci-fi stuff happen. And for us, it’s hard to see the various hangars and labs and prototypes and launches and not get the feeling that space tourism, mining on asteroids and trips to Mars really aren’t that far off. Cox is a good guide, leaning towards the deeper questions implicit in the subject. Ultimate, one designer argues, space travel is about “building life insurance for the species.” Though you hope we won’t need it. That snippet also has a photo of Cox and with the space scientist, Brian Lillo, in space suits outside a Mars Society Research Station in Utah, ‘exploring the Red Planet’. I went to a symposium 17 years ago on space tourism at the British Interplanetary Society’s headquarters in London. There are no end of really great ideas, and very motivate, intelligent people out there planning and discussing ways to take people up into the Deep Black for their holidays. One of the scientists, reviewing previous spacecraft designs going back to the early days of spaceflight, showed how sophisticated some of these were. He made the case that we’re actually decades behind schedule in our ability to explore and commercially exploit space and its resources. David Hardy’s introduction to astronomical illustration was a somewhat rushed affair. In 1954, as a mere 18-year-old, he was commissioned to produce eight black and white illustrations for a book by legendary UK astronomer Patrick Moore: Suns, Myths, and Men. He had just five days to create them before British national service-conscription-required him to join the Royal Air Force. The commission was all the more remarkable as Hardy had only painted his first piece of astronomical art four years previously, inspired by the work of Chesley Bonestell. Since those early days, Hardy (1936-) has garnered numerous awards for artwork that spans the science fiction/hard science divide. Born in Bourneville, Birmingham, in the UK, he honed his talents painting chocolate boxes for Cadbury’s. By 1965 he had become a freelance illustrator, beginning a career that resulted in covers for dozens of books and magazines, both factual, such as New Scientist, Focus, and various astronomical publications, for which he also writes; and SF, including Analog and Fantasy & Science Fiction. 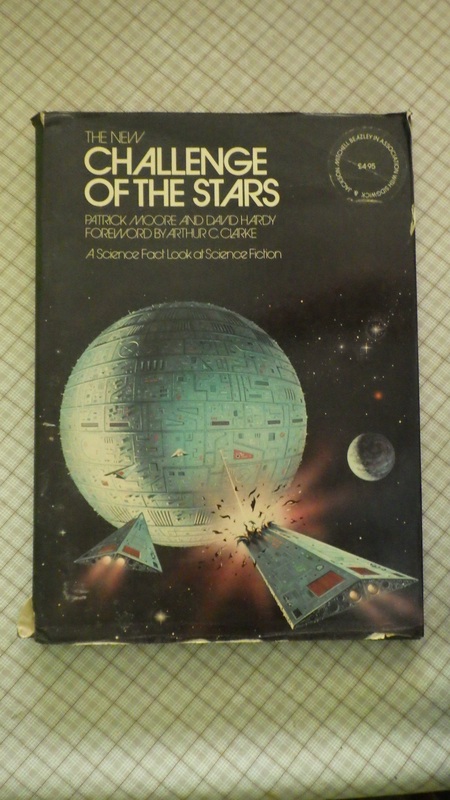 1972 saw the publication of Challenge of the Stars, which Hardy not only illustrated but co-wrote with Patrick Moore (the book was updated in 1978 as New Challenge of the Stars). A bestseller, it joined the select pantheon of book that influenced a new generation of up-and-coming astronomical artists. By now, Hardy’s work was receiving international recognition, and in 1979 he was nominated for the Hugo Award for Best Professional Artist. Tow years later, another book followed, Galactic Tours, which as the name suggests is a “factitious” guidebook for the interstellar tourist. As a result of the book, travel company Thomas Cook approached Hardy about becoming a consultant on the future of tourism in space-long before Richard Branson had planned Virgin’s conquest of the stars. Hardy has written an SF novel, Aurora: A Child of Two Worlds; worked on the movie The Neverending Story, and on TV (Cosmos, Horizon, The Sky at Night, Blake’s Seven), and produced record covers for – unsurprisingly – Holst’s The Planets and for bands such as Hawkwind, the Moody Blues, and Pink Floyd. In 2004, Hardy’s long-standing partnership with Patrick Moore culminated in the award-winning Futures, in which the two explored the changing perceptions of space exploration since they first collaborated in the ’50s, the ’70s (the era of Challenge of the Stars) and into the 21st century. Artistically, Hardy has also embraced the growing digital trend that started in the approach to the new millennium. While still painting in acrylic and oil, he now uses Photoshop as a matter of course. In March 2003, Hardy was paid perhaps the ultimate accolade an astronomical artist can receive: he had an asteroid  named after him. Discovered ini September, 1998, it was christened Davidhardy=1998 SB32-high praise indeed! Several of the paintings in the video come from the Challenge of the Stars and its updated version. 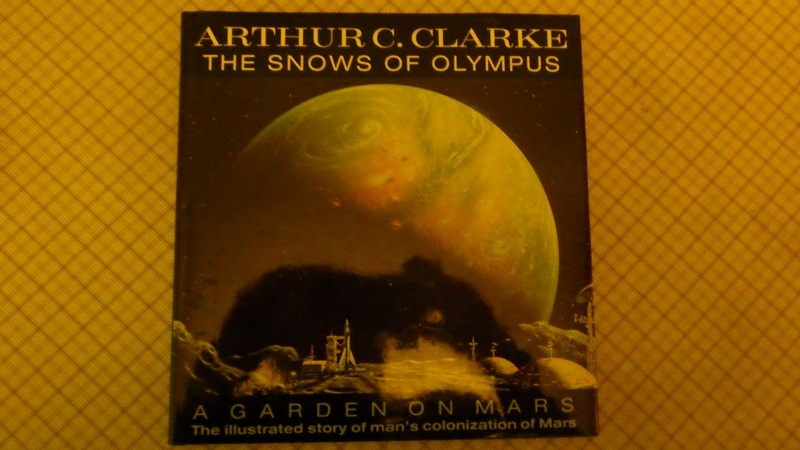 The videos also include his cover illustration for Arthur C. Clarke’s The Snows of Olympus: A Garden on Mars – the History of Man’s Colonisation of Mars, which is another ‘future history’, this time of the terraforming of the Red Planet. I have to say that I’m really impressed he also worked on Blake’s 7. This was low-budget British SF, but it had some create scripts and a really beautiful spaceship in The Liberator. And I would far rather go into space on something designed by Hardy, and operated by Thomas Cook, than by Branson. 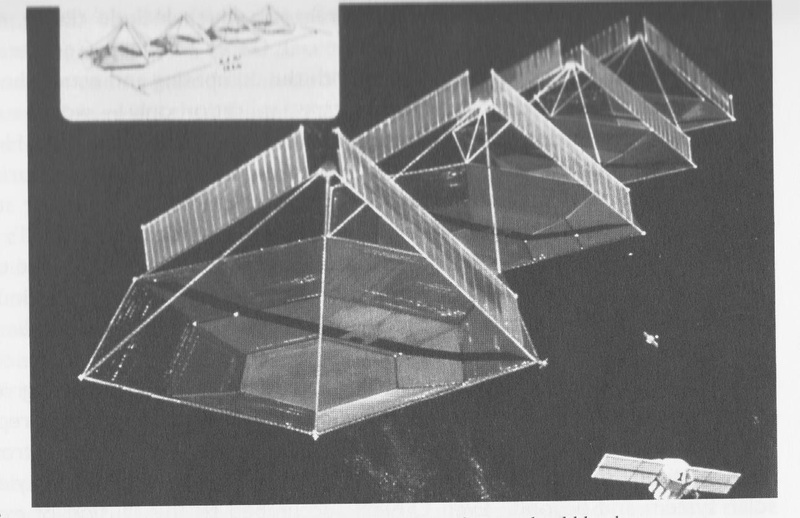 An Array of Space Solar Power Satellites from O’Neill The High Frontier. Mike over at Vox Political has posted a number of articles about the threat fracking poses to our homes, our communities and our environment. The Greens and community groups are very concerned about environmental damage done by such shale oil extraction. In America, the dangers posed by fracking has been highlighted by the documentary, Gasland, which shows areas where the water table has been so heavily contaminated by the gases pumped in to free the oil, that there’s footage of people setting the drinking water from their taps alight. I’ve seen other claims from the right that dispute the authenticity of that footage, at least as it applies to fracked chemicals. But there is much other evidence that fracking is unsafe and poisonous. Much like the Tories and the Republicans, who are its biggest supporters. In the West Country near where I live, the residents of Keynsham have been concerned about fracking on their doorstep. And this week Mike reblogged a report that the Tories had passed legislation permitting fracking under the National Parks, the most beautiful areas of our Sceptred Isle. One of the arguments the Repugs have trotted out in America to justify and promote fracking is that this will somehow make America independent of Middle Eastern oil. Good, patriotic Americans need never have to worry about their dollars getting into the hands of oppressive Middle Eastern regimes or Islamist terrorist groups. A fundamental challenge in the next century is how to meet the world’s growing energy needs from an environmental perspective. We must meet this challenge to provide the opportunity for prosperity to all humans. Fortunately, the Sun supplies the Earth with an abundance of clean and natural energy. Space Solar Power or SSP, is a means of collecting that energy and beaming it down to the Earth wherever it is needed. SSP may be the key to meeting this challenge. SSP could be an environmentally friendly, economical energy producing technology that simultaneously promotes the human realization that the Earth is an open system while protecting the Earth’s fragile biosphere. She is also very much aware of the power of the Green lobby and an increasing ecologically aware public, and the potential of these groups to support the development of such power systems as well as world governments. The concept of SSPS has been validated by studies undertaken by the international technical community, and supported by academic institutions, industry and governments. The results of these studies are reported in the substantial literature on the associated technical, economic, ecological and societal issues. * Enabling the development of a spacefaring civilisation. Space Solar Power Stations have been studied for 45 years or more, since the first international meeting was convened in the Netherlands in 1970. Among the nations that have researched such power stations are the US, Ukraine, Russia, the European Union, Japan and China. Glaser also notes that all nations are legally entitled to benefit from such energy resources under the UN Treaty Principles governing the Activities of States in the Exploration and Use of Outer Space, including the Moon and other Celestial Bodies. And the current crisis in the Middle East should show how solar power, and particularly Space Solar Power, is a reliable and viable alternative to oil. Science Fiction frequently provides a literary Gedankenexperiment for writers to explore the possibilities in science, technology and human society that could emerge in the future. Donald Kingsbury’s short story, The Moon Goddess and the Son, is about a romance between a teenage girl, who has run away from her violent father in the hope of settling on the Moon, and the son of one of Moon colony’s leading engineers, who heartily loathes the place. The story was first published in 1979. Despite their difficulties, all ends well for the star-crossed couple. The son learns to love the Moon, and settles down as one of the engineers there. He marries the girl, who makes her living running the local bar and restaurant. The story takes place against a backdrop of political instability in the Middle East. Funding for the lunar colony looks uncertain, until there is a Communist revolution in Saudi Arabia. At which point, funding suddenly increases as Congress decides they desperately need to find an alternative energy source to oil. Space Solar Power is one of these. Eventually the Communists are defeated and the Saudi royal family restored. The lesson has been learnt, and the colony continues to develop. Okay, so there are significant differences to today. Fortunately, the Saudis haven’t been toppled, and the threat is Islamism rather than Communism. However, there is still a threat to global oil supplies, and the Islamists are hoping to use their oil wealth to finance their wretched regimes. It would seem the opportunity is right for the development of such space-based power industries. As for the cost of setting up such stations, it would admittedly be extremely expensive. However, way back at the start of this century I went to a meeting of the British Interplanetary Society in London about the development of space tourism. One of the speakers, a specialist in construction, stated that the costs of developing a space hotel would be equivalent to building a high-rise building on Earth. As for space power, I think he argued that it would be comparable to setting up the national grid today. In other words, they’re very expensive, but no more so than conventional, terrestrial buildings and industries, whose construction is definitely not seen as excessive. Of course, you don’t have to go into space to get power from the Sun. Hundreds of thousands across the country are probably doing it by having solar panels on the roof of their homes and businesses. And that’s clearly annoyed the Tories, as they’re cutting funding for solar power and other renewables, just as their Republican counterparts across the Pond are doing in the Land of the Free. The real reasons for it have less to do with the supposed disadvantages of solar power, and far more to do with the massive subsidies the oil companies receive from the US taxpayer due to giving donations to finance the campaigns of their pet politicians. And I strongly suspect that the same applies over here, especially in the Tory party, which has always promoted itself as ‘the party of business’. Don’t be fooled by Dave Cameron gazing rapt at the TV screen as Tim Peake heads off into space. He wants the elan of backing Britain in space, but he doesn’t want us to develop the High Frontier’s vast potential for clean power, or have to put government money into anything that isn’t strictly terrestrial and won’t benefit his corporate backers. And that means he is definitely not going to put his or anybody else’s money into solar power, whether in space or down here. Why develop clean, renewable energy when his paymasters will make billions trashing the environment? A few weeks after announcing he had completed astronaut training at Russia’s Star City and was in line to voyage to the International Space Station, Brian Blessed is on the radio tomorrow. He, Stephen Attenborough and Dr. Kevin Fong will be on Brian Cox and Robin Ince’s The Infinite Monkey Cage discussing space tourism. The programme goes out at $.30 pm.